“Write the vision and make it plain on tablets, that he may run who reads it. For the vision is yet for an appointed time; But at the end it will speak, and it will not lie. Though it tarries, wait for it; because it will surely come, it will not tarry” (Habakkuk 2:2). Where are you going? Do you want to accomplish more “Godly Goals” in 2014 than you did in 2013? Do you want to be ALL the Lord is calling you to be in spirit, soul and body? You absolutely can! But think, without goals, how will you know whether or not you are on the right track? How will you know if you are on the road to your destination if you don’t recognize the sign posts along the way (smaller goals on the way to your larger goals)? SMART-ER Goals to GUIDE You. 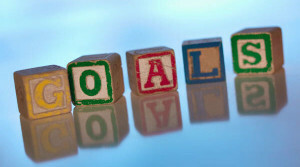 We've heard of SMART goals (Specific, Measurable, Attainable, Realistic and Time-bound). 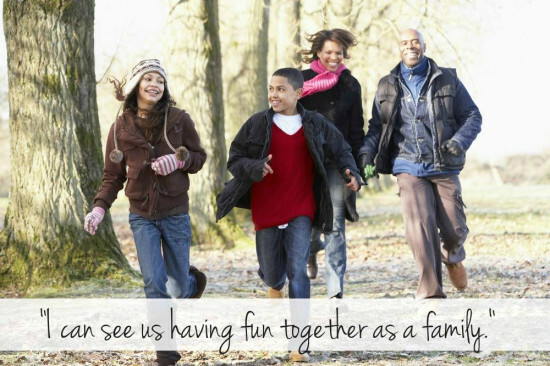 Here are SMART-ER goals which honor God and help keep you on track! 1. S – Seek God. Get in a quiet place and seek the presence of the Lord. Meditate on scriptures about the Lord and what He has said and promised–such as “I am the Lord that healeth thee;” “I am the way, the truth and the life;” “I will never leave you nor forsake you;” and others. “Seek FIRST the kingdom of God and His righteousness and ALL these things will be added unto you” (Matthew 6:33). Not sure about your goals? Not sure what to do or what’s right for you? Here’s the answer: Worship the Lord! Amazing things happen to you when you do so! Tell Him how much you love Him: “I love You, Lord! I worship You! I adore You…” “Delight yourself also in the Lord, And He shall give you the desires of your heart” (Psalm 37:4). When you invest time in your relationship with Him, He will show you His highest and best for you. Hint: The goals God shows you will be in line with His Word in the Bible, and will always be greater than anything you could possibly do by yourself. Why? Our wonderful Lord wants to do these things with and through you! You see, if you could accomplish your goals without Him, how would He receive any glory from it? How could your victories lead anyone to Him if you get all of the credit and the glory for it? “God has chosen the foolish things of the world to put to shame the wise, and God has chosen the weak things of the world to put to shame the things which are mighty” (1 Corinthians 1:27). Aren’t you glad? I am! 2. M – Make a Commitment. Commit yourself to God. Let Him know you not only want the Lord’s guidance, but that you will follow it, too. “Commit your works to the LORD, and your thoughts will be established” (Proverbs 16:3), and “Commit your way to the LORD, Trust also in Him, and He shall bring it to pass” (Psalm 37:5); and “If you are willing and obedient, you shall eat the good of the land” (Isaiah 1:19). 3. A – Ask – We want to ask in line with God's will. 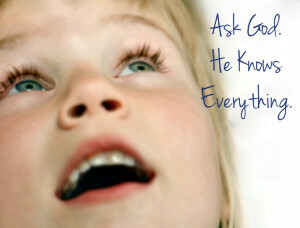 Ask Him. Do you see a promise along those lines in the Bible? God’s Word is God’s will for us, so we have confidence when we ask in line with His Word (such as in areas of healing, restoration, ministry, marriage, prosperity, success, growing in the Lord, being all He’s called you to be, etc.). “You have not because you ask not. You ask and do not receive, because you ask amiss, that you may spend it on your pleasures” (James 4:2); and “And whatever you ask in My name, that I will do, that the Father may be glorified in the Son” (John 14:3). 4. R – (w)Rite the Vision! Write your goals down in each area. 5. T – Thank God in Advance. Thank the Lord for His guidance, direction, favor and the fulfillment of these goals. “Be anxious for nothing, but in everything by prayer and supplication, with thanksgiving, let your requests be made known to God; and the peace of God, which surpasses all understanding, will guard your hearts and minds through Christ Jesus” (Philippians 4:6). 6. E – Expect “Now this is the confidence that we have in Him, that if we ask anything according to His will, He hears us. And if we know that He hears us, whatever we ask, we know that we have the petitions that we have asked of Him” (1 John 5:14-15). 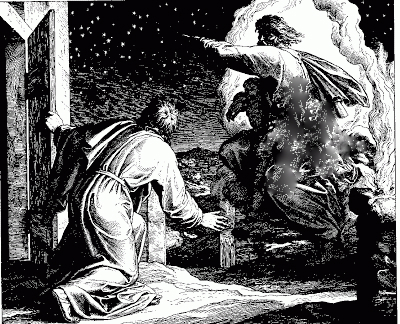 Remember that God gave Abram (before he became “Abraham”) an image to hold on to so he would “see” God’s plan for him. “Then He brought him outside and said, ‘Look now toward heaven, and count the stars if you are able to number them’ And He said to him, ‘So shall your descendants be’” (Genesis 15:5). God gave you an imagination to see His highest and best for you. Praise the Lord in it and see those good things coming to pass, for His glory! 7. R – Receive “Whatever things you ask when you pray, believe that you receive (the word in Greek is “TAKE”) them, and you will have them” (Mark 11:24). 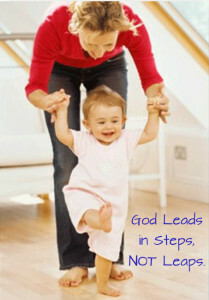 God leads in steps, not leaps. In your quiet time, ask the Lord to show you the first “baby steps” toward the accomplishment of your goals. Write them down. Consult with the Lord Jesus all along the way. Do the small steps and they will lead to more steps. These steps then become goals attained along the way to the accomplishment of your bigger goals. One day at-a-time you will get there and be all the Lord has called you to be. I know it! Make 2014 your year for SMARTER Goals that honor God and keep you on track with His perfect plan for you – guiding and guarding your ADVENTURE in Faith!